Recently Breitling and Tudor joined hands: Breitling uses some movements from Tudor, Tudor uses some movements from Breitling. 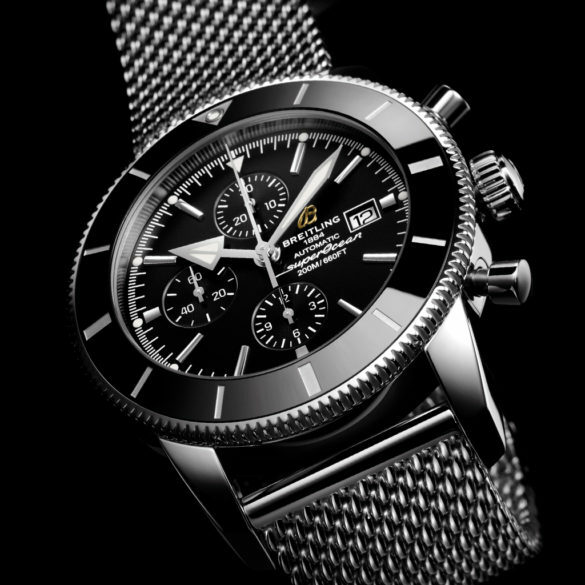 The Breitling Superocean Heritage was updated to the Breitling Superocean Heritage II with a Tudor movement, however this new Breitling Superocean Heritage II Chronographe keeps its original Breitling caliber B13. 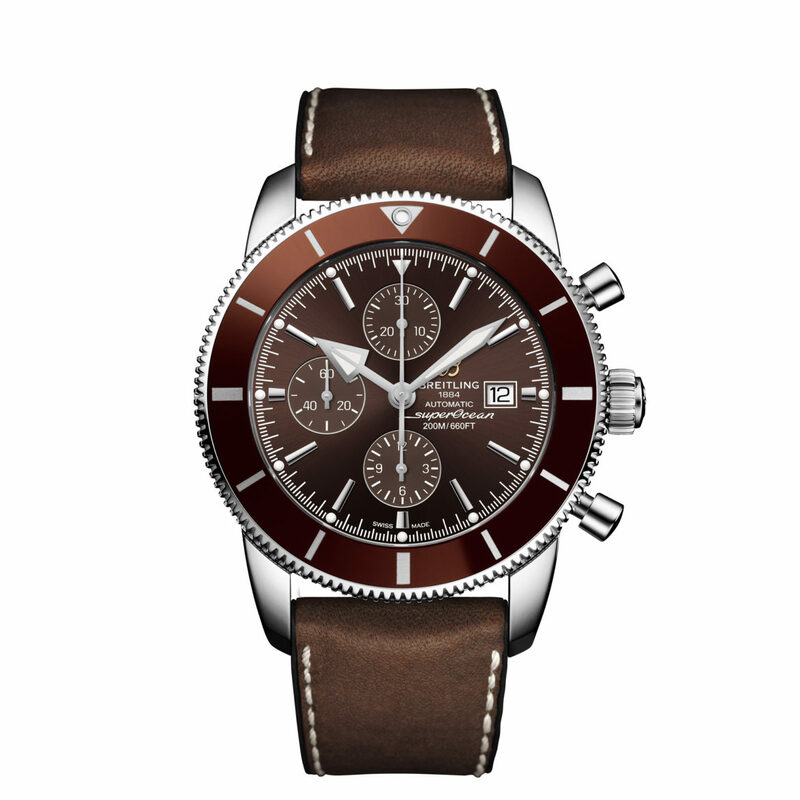 So, only the design has some updates to stay in line with the model without chronograph. 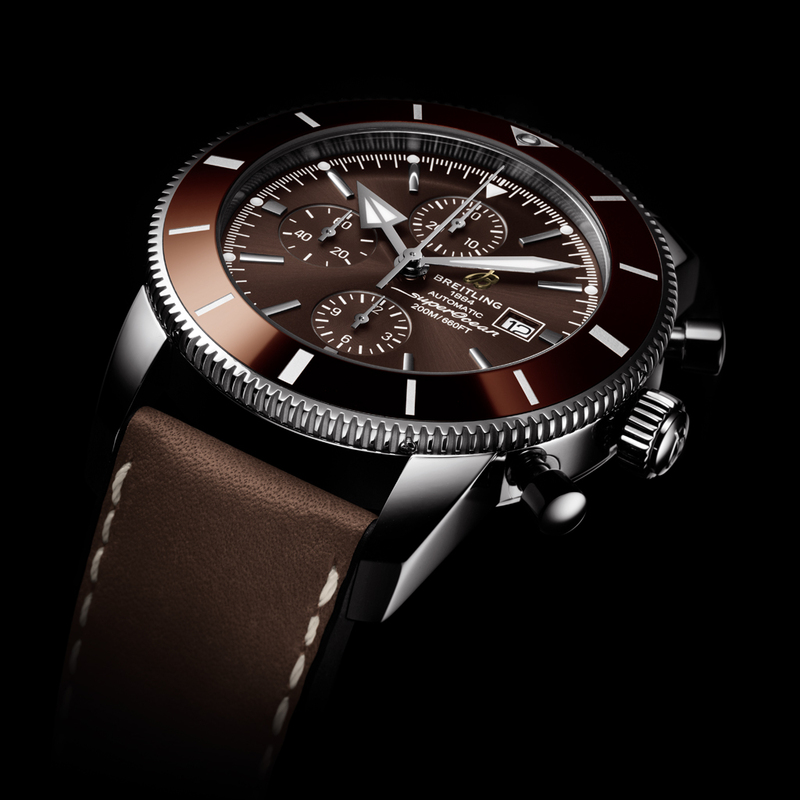 The Superocean Heritage II collection celebrates 60 years of Superocean. This legendary diver debuted in 1957 and the current models are still inspired by that model. Which had a black dial. The Breitling Superocean Heritage II Chronographe comes in four dial colors: black, blue, blue with black subdials and bronze. 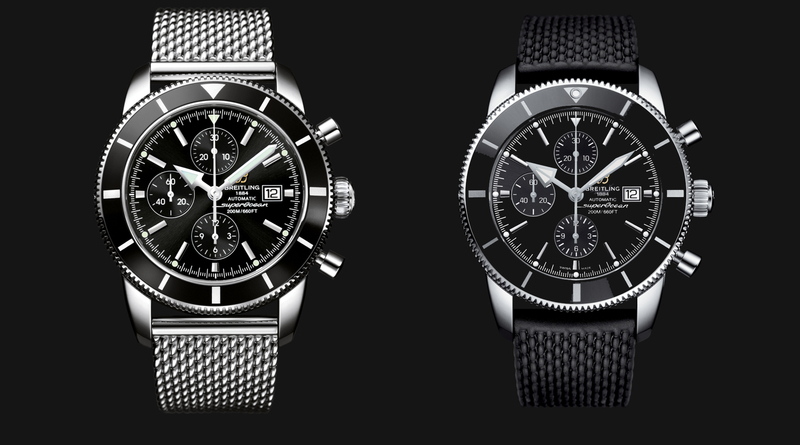 Each with a matching bezel and each available with different straps. Unlike the version without chronograph the Breitling Superocean Heritage II Chronographe is only available with a 46-millimeter case. 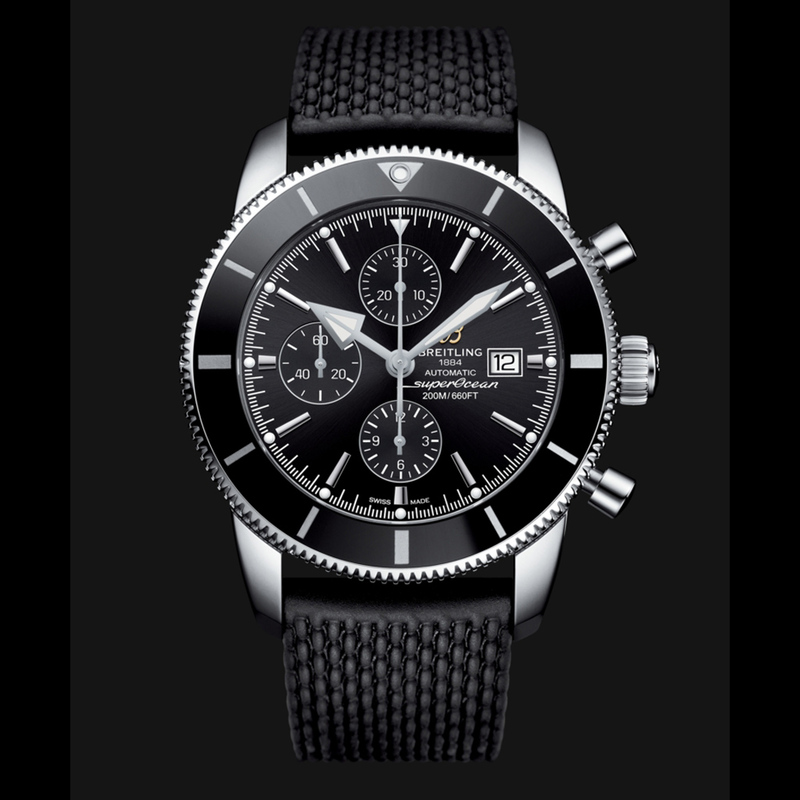 Which is okay for a diver/chrono although too big for some of us. 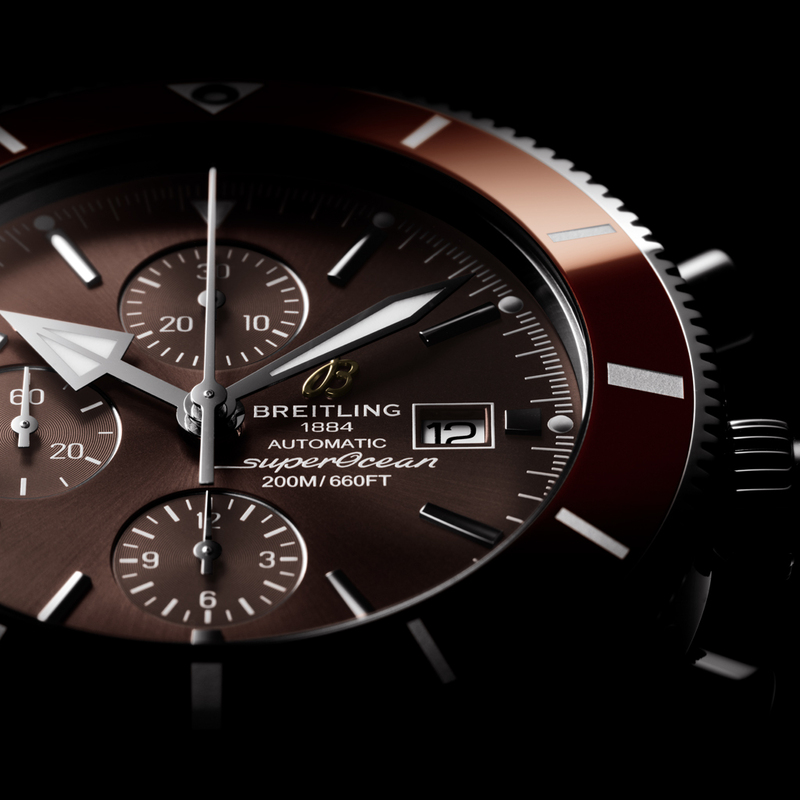 A 42-millimeter version of this model would have been likable too. 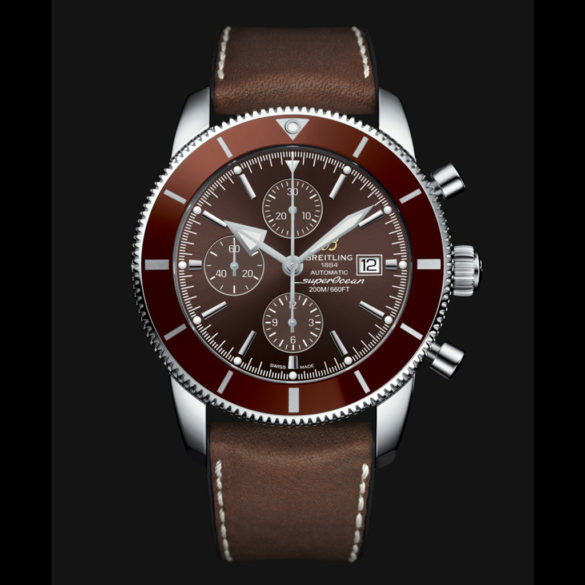 The design changes between the new one and the outgoing model are minor: the shape of the lugs and crown have changed a little, the hands and markers as well. The bezel was from steel, now it has a ceramic top layer which is more scratch-resistant and has brighter colors to match the dial. 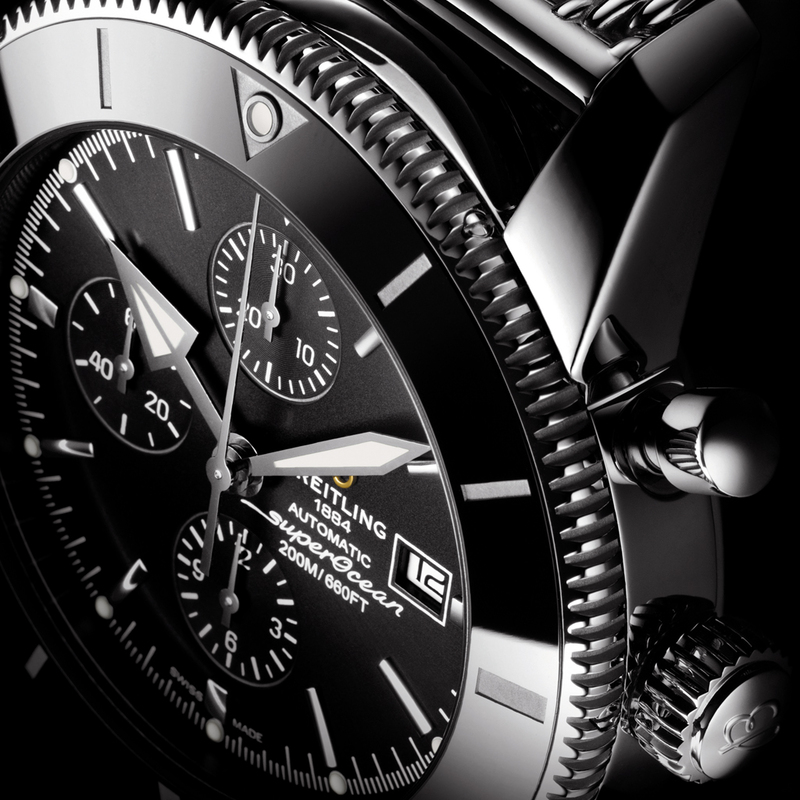 Not a lot of reasons to replace your old one for a new one. 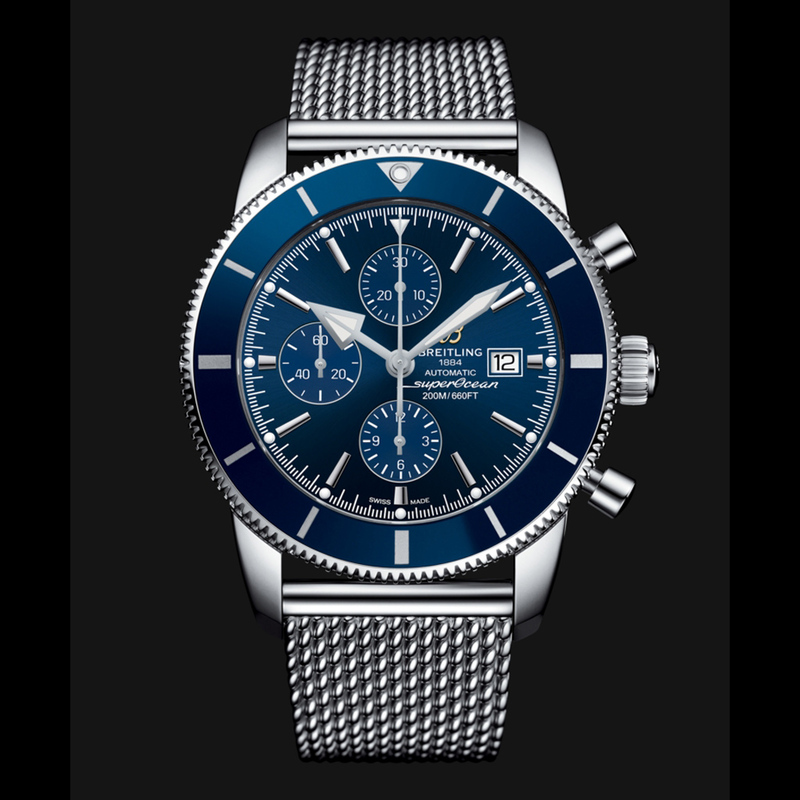 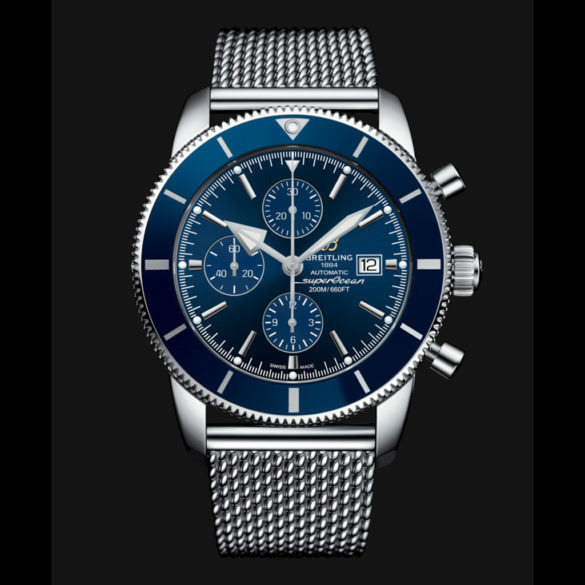 But if you are new to the model: the Breitling Superocean Heritage II Chronographe has become a few bucks cheaper than the old model.